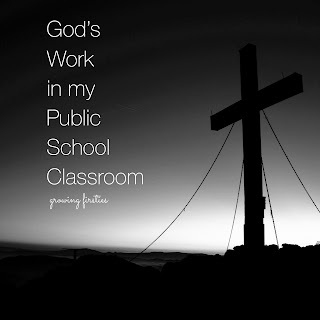 Even though I teach at a public school, I feel that God is at work in my classroom every day. Student and school shooting tragedies weigh heavily on us all. Why do you allow so much violence in schools? Initially, I couldn't quite figure out why it was so unsettling. It's been in the back (and front) of my mind since then and when I finally had time to be alone with my thoughts a bit, I started understanding. I disagree with the idea that God is not in (public) schools. We may not be talking about Him directly or actively praying with students in our public school classrooms, but I do believe that God IS at work in schools everywhere, including public schools. I believe my work is God's work. All work can be God's work. I am privileged to work with students from diverse backgrounds and religions -- I learn from and admire them every day. Even though I do not pray or talk about God's blessings with students, He is still at work in my classroom. How is God at work in my public school classroom? Everyone has gifts and talents and can learn from each other, even when we disagree. We can disagree with each other and solve our problems using our words with respect and kindness. Seeing as they're six and seven years old, sometimes I'll help them with language support such as, "You might start talking about the problem by saying something like...I was ________ when you _______ because __________." 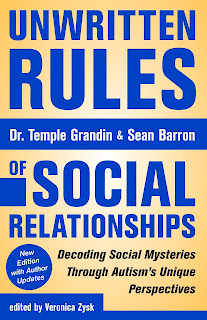 I encourage them to look one another in the eyes or at least at each other's faces while having the conversation. I also encourage them to listen closely to one another, repeating back what the other person has said, trying language like, "It sounds like you feel ____ because _______." Everyone makes mistakes. We take responsibility for our mistakes and forgive ourselves and each other. Since I make LOTS of mistakes, my students get to see a LOT of my modeling here. Sometimes I assume I know the end of what a student is going to say and I interrupt them before they finish speaking. When I realize it, I'll say..."I wasn't doing a good job staying focused on your words. I'm sorry for that. My brain is ready to hear you better now. Can you please say that again?" 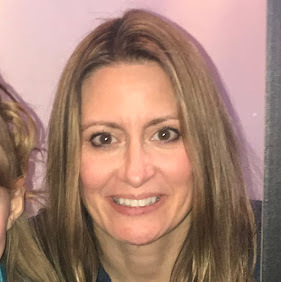 Other times I will get frustrated with what feels like the millionth interruption to instruction (there's a LOT of pressure to teach the curriculum with fidelity, and have all students performing at or above the benchmark, and for all students to make significant progress from wherever they're at academically). So, depending on the situation, if a student is requesting my attention to hear a story that isn't related to the task at hand, I'm not always gracious when I respond to them. When I realize that, and the timing is better, I publicly acknowledge what I could have done better, saying something like, "You might have noticed I didn't give you a chance to share your story. My brain was thinking about the work we needed to get done. I'm sorry for being impatient. I should have told you that I wanted to hear what you had to say, but it wasn't a good time at that time and that I'd have more time after ____." Everyone is the same amount of special. Knowing more about or being faster at something doesn't make you more special...it means you have a talent at it, you take your time to do a good job with it, or you've had a lot of practice. We are made the way we were supposed to be made. Six and seven year olds can feel sad sometimes when a peer has something happen to them that they wish were happening to themselves. I've often said things like, "Your teeth will fall out when they're ready to fall out, even if all your friends have lost a tooth and you haven't yet. You're body is made the way it's supposed to be made." Or, maybe they've been called a name by someone regarding their size...I'll say, "You're the height you are because you're supposed to be your exact height right now. We can't control height and you're made exactly the way you're supposed to be made." We all face challenges. Challenges do not make us "bad" or "dumb" or "not good enough." Our decisions and choices impact not just ourselves, but the people around us. This post will be a work in progress - I'll update it along the way as things come up. Time is limited, precious and valuable - thank you for your time spent reading this post. In these "life in my classroom" posts about reducing back to school anxiety and tips for writing workshop implementation, I see God's work shining through, too. 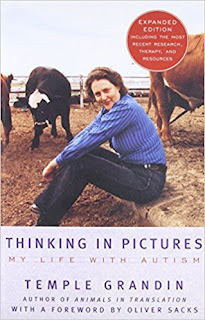 As a veteran classroom teacher of 24 years, I have worked with several students with autism over the years and my heart and mind have expanded with each of them. 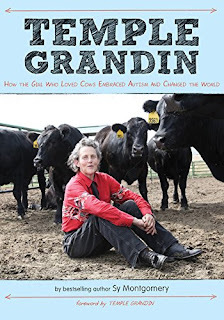 Having read some of Temple Grandin's books in the last ten years or so, I was thrilled to see a picture book about her! 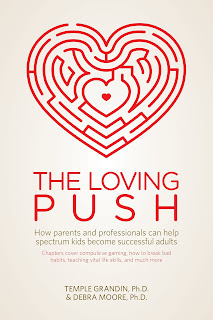 Thanks, Innovation Press, for the review copy - my students and I love this book and had excellent discussion around it. 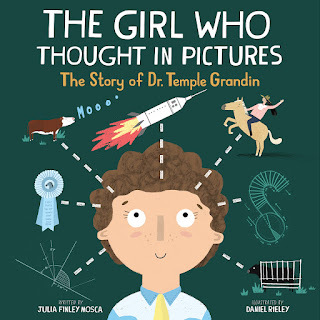 It's told by Julia Finley Mosca in rhyming lyrical form with gorgeous illustrations by Daniel Rieley. This post contains Amazon affiliate links, where I earn small advertising fees through your purchase. I use most of the earnings for my students and classroom. If you'd like a few companion activities for use with your students (aimed at first and second graders), click the pic below to download it for free. Keep on celebrating your own gifts AND the gifts of others! We can make the world a better place one kind act at a time!